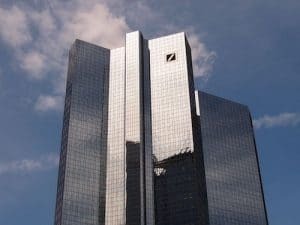 Deutsche Bank will move its global collateral management operations to a cloud-based platform operated by CloudMargin. The move makes Deutsche Bank the first of the major global banks to adopt cloud technology for collateral and margin management and is part of the German bank’s global transformation and cost savings programme. “Moving our collateral and margin management onto an online platform means that we and our clients will enjoy a reduction in risk and resource-draining emails and calls,” said Joseph Macdonald, global head of collateral optimisation trading, Deutsche Bank. Through the CloudMargin platform, Deutsche Bank and its clients will be able to access the same information regarding regulatory obligations and required actions for their cleared and non-cleared OTC derivatives. With added transparency to the collateral management process, it will help significantly reduce risks from manual intervention and discrepancies.